1989 is the fifth studio album by American singer Taylor Swift, released on October 27, 2014. The album reached #1 in 11 countries all over the world and has been named one of the best albums of the year by music critics. Blank Space is definitely one of my absolute favorites on this album from the very first moment I heard it. It has a slight electropop/minimal pop sound which I really liked, with deep bass and good percussion. I love how Taylor kind of mocks herself and her public image here, ‘Got a long list of ex lovers […] But I’ve got a blank space baby, and I’ll write your name‘, GET IT GURL! Style is one of the songs that was inspired by the 80s I suppose, and that’s exactly what I love about it. The guitar riffs are heard all throughout the song and it gives it a nice and bouncy quality. The lyrics are uplifting and both Taylor’s vocals and her singing melodies are very enjoyable. Probably one of the best non-single songs on the album. Some other songs on the album have a slight nod to 80s music too, and interestingly enough Out Of The Woods combines both 80s and modern elements into an indietronic kind of song, unlike anything Taylor has released before. This was used as a promo song for the album and I think that was an excellent choice. The lyrics are quite simple but the music is filled with synths and percussion, love it. Apparently All You Had To Do Was Stay was written after a dream Taylor had instead of a real life relationship. It’s a little bit more in style with Taylor’s previous work if you listen closely, and at first you might not even remember this song was even there. What makes it memorable for me is the word ‘stay’ in the chorus, the way it was sung higher pitched. Gives it a more interesting touch you know. Let’s add some sass! Shake It Off is another song in which Taylor is not too afraid to mock herself and give us her side of the story, something that adds some bonus points to the overall rating haha. This song is just pure fun and exactly what the album needed at this point, something you can just really enjoy yourself with and let loose for once. Favorite! Good thing we reached a point on the album with nice uptempo songs, something Tay knows how to do really well. I Wish You Would is kinda 90s to be honest, not my favorite era (even though I’m 90s myself) but Taylor’s spin on it makes it more accessible even for me. Maybe this is a little too fast paced even for Tay, but well, at least it’s still enjoyable. Wildest Dreams sounds a little too familiar to me when it comes to the lyrics, but I’ll just pretend I didn’t notice. One thing that comes to mind: Lana Del Rey anyone? 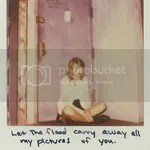 Somehow I can easily imagine her singing this song but it becomes Taylor too. I loved the melodies in the chorus, cute little track. Finally, a manual for men: How You Get The Girl. Yup, getting someone back isn’t that simple and it takes more than a ‘Sup? Miss you’ text, something Taylor understands very well. It’s an enjoyable track with some nice acoustic guitars in a more prominent role this time, it’s catchy and maybe it will grow on me because of that, other than that this is more the generic type of T. S. song. Taylor’s voice sounds lovely in This Love, a slow ballad with doubled vocals, a technique that makes her stand out so well. This song is kept very minimal so it focuses on her voice and the beautiful lyrics. Somehow the thought comes to mind that this song has a more mature approach than some of the other songs here, which is a good thing. I’m dreaming away to this one. I Know Places just screams ‘Ryan Tedder’, and although he already is known to me a s a good music producer, there are more elements that make this song interesting. Taylor does a good job on the higher notes in this song, something she doesn’t do all that often if I remember correctly. Somehow this also seems two songs in one, but the overall picture tells me this is a song you musn’t overlook. Wow, Clean was co-written by Imogen Heap. Closing the album Taylor decided to take it down a notch and end the album on a peaceful and easy-listening kind of note. It’s not the most memorable song on the album, but I do enjoy listening to it and I can imagine playing this song while just sitting back to relax. I knew I would like this album from the moment it was announced since I’ve had a soft spot for Taylor for the past few years, and it has everything to do with her lyrical content and catchy music. The subject of relationships and love is still central, but in a more mature and adult way, killing her image of a ‘young bare-foot girl with a guitar’. This major departure from country music works so well for Tay and she’s on her way to becoming a legend in the music industry, making more and more clear who she really is with every new album released. Magnum opus? Probably, yes!